Our economists produce publications and working papers of interest to policymakers, academics, business and banking professionals, and the general public. A blog that features insight and analysis from New York Fed economists working at the intersection of research and policy. Concise studies of topical economic and financial market issues, geared toward a broad audience. The series was published from 1995 through 2014. A regional supplement to Current Issues in Economics and Finance, covering economic developments in the Federal Reserve’s Second District. The series was published from 1997 through 2014. 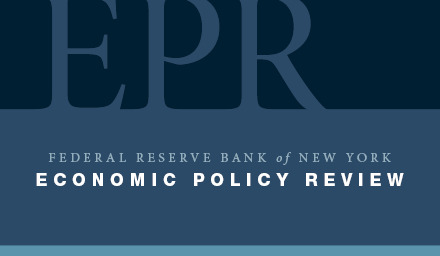 A quarterly newsletter describing the research activities of New York Fed economists, published from 1998 to 2013.